I’m not a fan of the NFL- not because of the high salaries or the obsessive fans-but because of how so many of the athletes behave on AND off the field. And I normally try to stay away from blogs related to football, since I see and hear so much about it at home…but this is something that really bothers me: The Tackle of Tim Tebow’s Character . His season is now over…but after a LONG, ANNOYING season of attacks, jokes [the tebowing website may be a joke, but its still mocking him and his beliefs] and anger about his faith in God. After Saturday’s loss, my Facebook was inundated with “Where was God during that game, Tebow?” and “Guess God didn’t have the Superbowl in his plans for you!”. None of this was anything new and none of it was anything I hadn’t read all season whenever Tebow “messed up”. It really got me thinking, though. 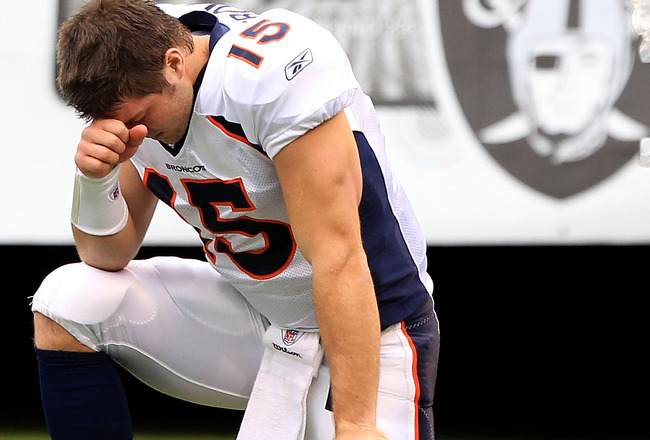 People annihilated Tebow because he thanked God for the ability to play the game. (This quickly spun out of control into accusing Tim Tebow of thinking “he was God” and “God made him win games”…neither of which were ever said.) Meanwhile, other athletes in the league can choke women, skip out on child support payments, smoke and possess massive amounts of marijuana, drive drunk, sexually assault college girls in bathrooms, and shoot themselves in the foot and it’s all swept under the rug. The NFL dishes out a small fine and the player is back to being a celebrity. But, Tim Tebow is crucified (no pun intended) for thanking God. What kind of organization allows a strong, brave, outwardly faithful member to be mocked, week in and week out? When did we become a nation that mocks a person who prays? And what happened to all my liberal friends…where is the acceptance? The tolerance? Do different rules apply because it has to do with God, the Christian God, the faith in which this country was founded and evolved so as to ensure freedom of religion and speech and made it so each player can be paid $300,000+ yearly and you can pay $75+ a ticket each week or watch it on your fancy TV with the NFL package that you pay for monthly from your job in a capitalistic society? That God? I just want to know when the faithful became the bad guys…. What a messed up industry. What a messed up society. 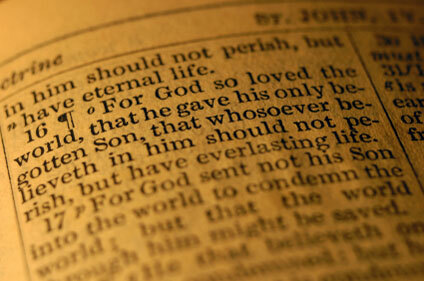 This entry was posted in Media, Sports and tagged john 3:16, tebowing, tim tebow on January 17, 2012 by Jessica Szilagyi. First, I still don’t understand how bending to one knee with head in hand is an “in-your-face” gesture. It’s not like he stood in the center of the Dallas star with arms outstretched and head to Heaven…oh wait, that was one of those that you mentioned that is praised by the media. Second, the attacks tend to come from those who are either afraid or unwilling to confront their own inadequacies, hypocrisies, lack of faith and so on. They hate those who not only say they believe in God but demonstrate it through their actions. It is easier to tear down that which makes us look bad by comparison then it is to actually try to improve ourselves. And when there is an example that spotlights our shortcomings, especially with respect to faith, there seems to be no holding back. (More of the zero-accountability, I’m perfect because my mom says so and don’t tell me differently mentality). Every athlete or celebrity that has a torso sized cross tattoo or prominently wears a cross gets a pass as long as the critics see it as an empty display of fashion and not a statement of faith. But anyway, he’s a big boy and seems to be able to handle the criticism well. As long as he continues to allow his actions to represent his faith he will be very blessed. Final thought, maybe folks get so bent out of shape with his example because they know they should be at church instead of playing games on Sunday. This didn’t seem an issue when he played on Saturdays.